OMAHA, Neb. 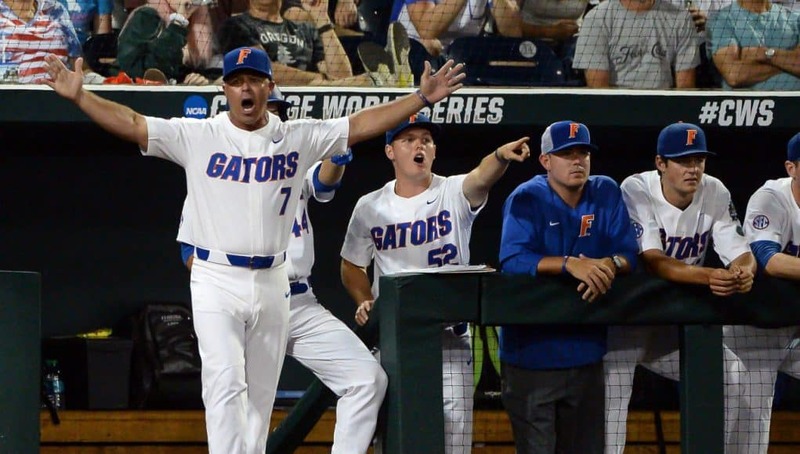 — The Florida Gators have hardly had time to unpack their bags and they might not need to after a 6-3 loss to Texas Tech their first game at the College World Series. Sunday night started off like most of Brady Singer’s starts. The junior sat down the Texas Tech Red Raiders in order on just nine pitches. Singer was sharp, his sinker was heavy and at the knees and his fastball was running in the mid 90s. 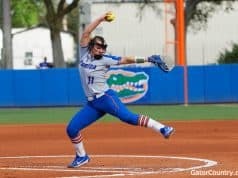 The second and third innings followed suit but Florida’s defense let its ace down in a big way in the fourth, again in the fifth and one more time for good measure in the sixth. It was Florida that got on the board first, albeit unconventionally. Deacon Liput drew a four-pitch walk, advanced to second on a wild pitch, third on a fielder’s choice and scored on a balk. A gift from Texas Tech, but Florida came with a gift of its own. Josh Jung singled with one out in the of the fourth and advanced to second on a balk called on Singer. He moved to third on a passed ball and scored to tie the game on a sacrifice fly. In the fifth inning Singer retired the first batter but he struggled to put Cameron Warren away. The junior first baseman watched a strike and then fouled off the next two pitches. He would foul off nine pitches in total during a 14 pitch at bat that ended with a line out to second but energized the crowd and the Red Raider dugout. Singer left an 0-2 slider up to Cody Farhat, who deposited it into center field and then the error that would swing the game. Deacon Liput fielded a routine ground ball and fired to first for what would have been the final out of the inning. JJ Schwarz — playing in his first game since May 18 — tried to keep his foot on the bag, rather than leaving the bag to catch the ball, and stretch for the ball as it sailed high and to his right. He didn’t make the catch; the ball bounced into the stands and moved two runners into scoring position. Gabe Holt’s single two pitches later gave Texas Tech a lead they wouldn’t relinquish. Singer gave up two more runs in the sixth inning that proved costly. Little singled and scored on Zach Rheams double to right field. Rheams went down and smacked a very good sinker at the knees from Singer. Overall Singer allowed five runs but just two earned over 6.1 innings. 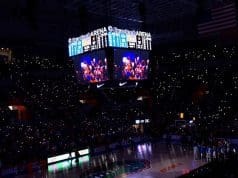 It could be the last outing of the junior’s career unless Florida can find a way to win a couple games and that fact wasn’t lost on his teammates. Maldonado ran into a 1-2 fastball for a two run home run that cut the lead from 5-1 to 5-3 in the seventh but it wasn’t enough of a spark for the Gators. Florida will turn to Jackson Kowar on Tuesday when they face the Texas Longhorns in what will be the second elimination game of the 2018 College World Series. The two teams will meet at 2:00 p.m. EST with ESPN telecasting the game.